Our Full Grain Leather is manufactured naturally leaving all scars and blemishes of the natural leather and is considered part of the character and beauty of the finished product. 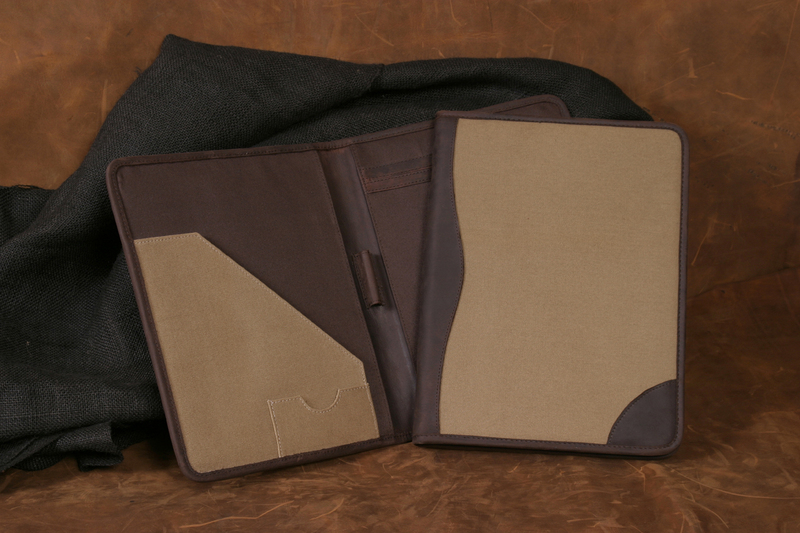 For a distinct look they will remember, our Natural Canvas and Distressed Leather Meeting Folder is the perfect choice. It includes a 8.5" x 11" ruled Memo pad with a retractable pen. Interior business card and paper/receipt slots are included along with a pen holder.